Algeria Ministry of Defense announced today the discovering ofa weapon cache allegedly belonging to terrorists in Tarat town, border with Libya. The pictures published by the Algerian authorities showed two antitank missiles, two sniper rifles,two Kalashnikov machine guns and munitions. During the clearing operations near the border strip, the army destroyed a mobile munitions’ depot, near the neighboring city of Batna. 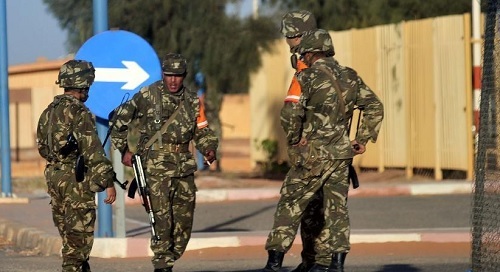 According to a specialized magazine which deals with military issues ‘Al Yeish’ (Army) organ of the Ministry of Defense, during 2017 the Algerian army killed 91 alleged terrorists, arrested another 70 suspects in different areas of the country. Terrorist activities have increased in the country during the past two years, leading by the instability in the Sahel region in neighboring Libya.